St Albans High School for Girls is an, independent day school for girls aged from four to eighteen years old. The school’s motto is ‘Send your daughter here and watch her soar’. We really like this strong messaging and feel like the colours chosen for the class of 2017’s leavers hoodies were enlightening and inspiring, too! 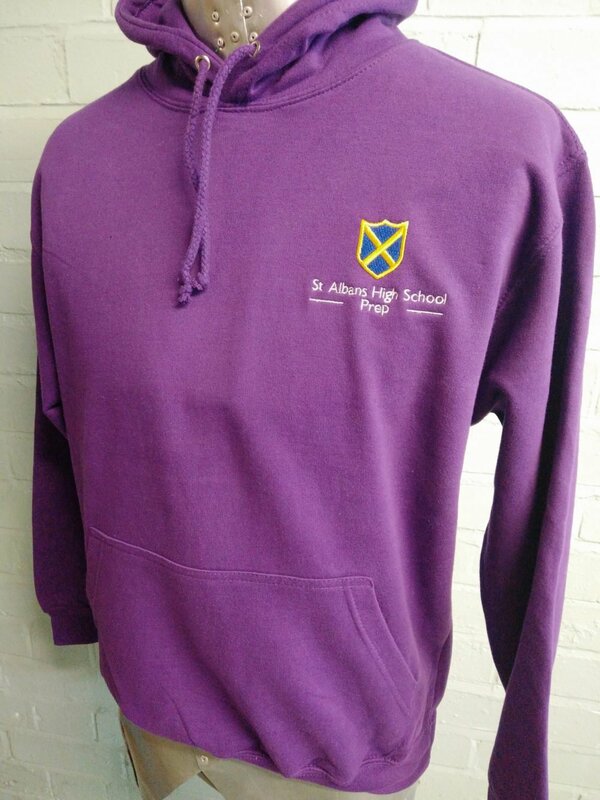 Contrasting nicely with the school’s blue and yellow logo, St Alban’s High School for Girls leavers hoodies are bright purple. 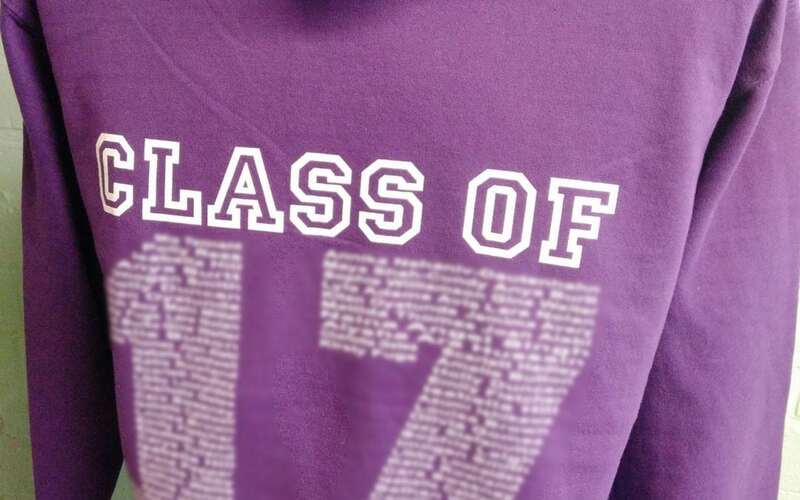 Breaking up the block colour is the school’s logo, embroidered to the front of the leavers hoodie and the names of the leavers are formed to make the number ‘17’ alongside the wording ‘Class of’ on the back of the hoodie. For ideas for contrasting or complementing colours for your school or college’s leavers hoodies, take a look at the wide variety of options we have available. If you have any questions, you’re very welcome to ask! Just give us a call on 01858 461 686.